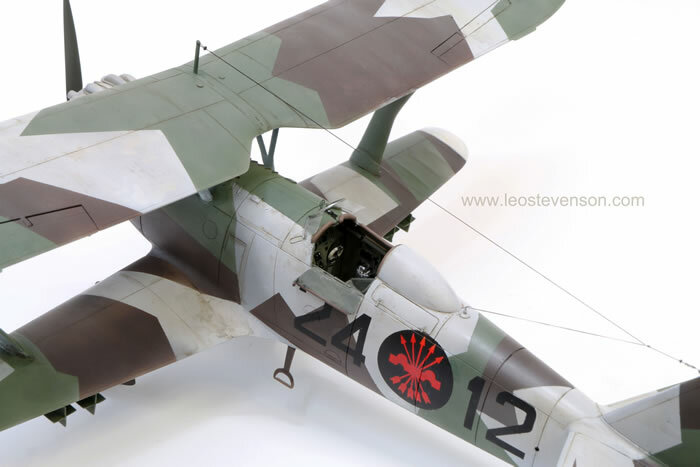 This is my Henschel Hs 123A model. It’s the old 1/32 Montex resin kit. It was the first resin kit I ever bought and when I finally got around to building it this became the eighth that I built and the first that I accidentally destroyed. I did this by dropping it down a flight of stairs last year when I moved house. Being heavy for its size and brittle the model more or less dismantled itself back into a kit of more parts than the original kit! Doing this did not make me break into fits of hysterical giggling. However, I am pleased that at least I photographed it before this stupid accident. 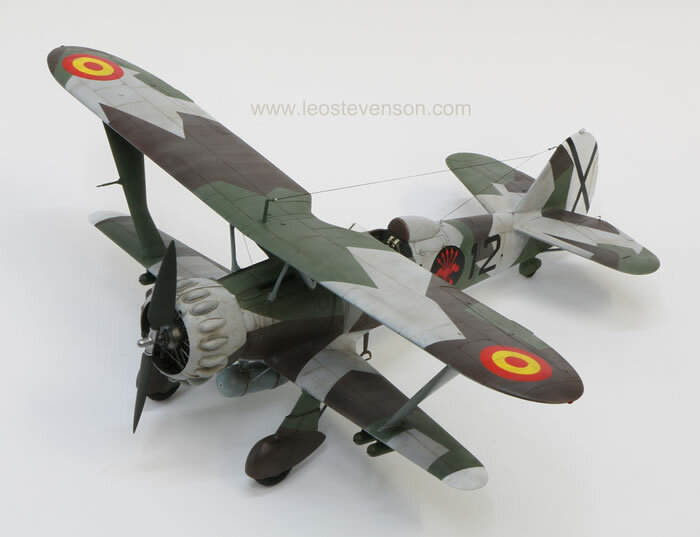 This model represents an Hs 123 flown by 61 esquadrilla of Franco’s Spanish air force that was based in Tablada aerodrome in Seville (now known as San Pablo Airport) in 1942. 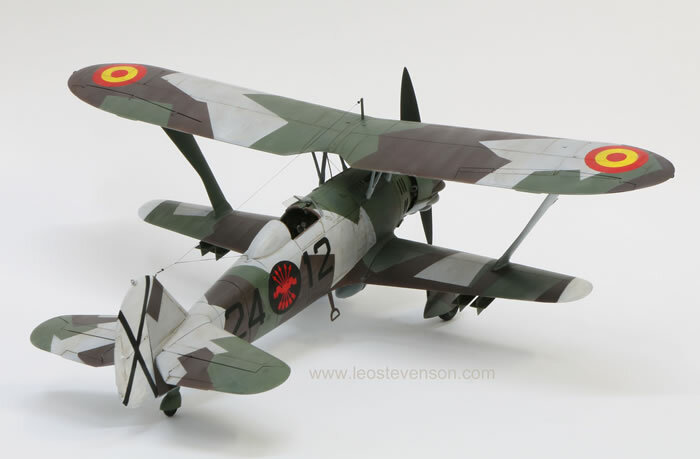 The Hs 123 was nicknamed the ‘Angelito’ or angel by the Spanish, a viewpoint not shared by those at the receiving end of this this very effective ground attack aircraft during its active service in the Spanish Civil War and the Condor Legion of Nationalist Spain. Although later replaced by Stuka’s, the Hs 123 proved to be very rugged and reliable aircraft which saw service in various theatres of war where it became appreciated for being easy to maintain and tough enough to stand up to very harsh environments. 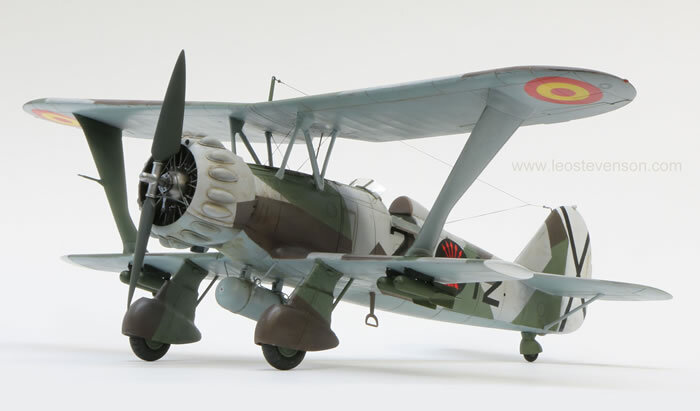 This model was more or less built ‘out-of-the-box’ with a few improvements such as aerial wires, some triangular cross-bracing bars for the cowling, and bits of internal plumbing that you can’t see in these photos. 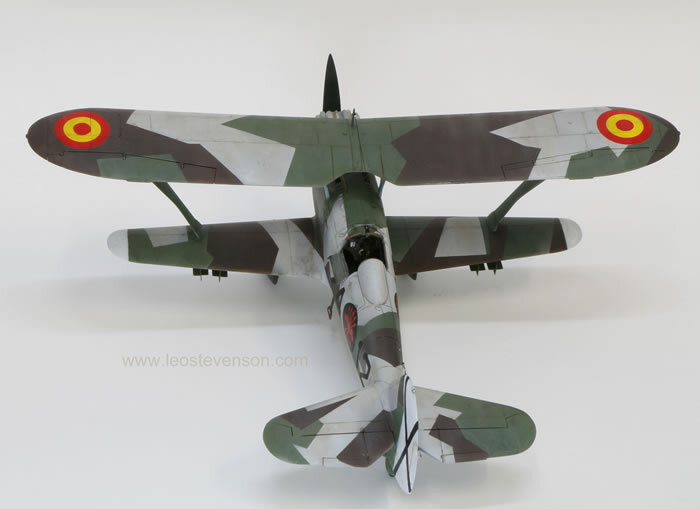 I’m a big fan of splinter camouflage schemes, but I can’t say why; maybe in this case it’s because I’m an artist and so it’s something to do with a man from Spain, not Franco, but Picasso….? Montex no longer makes kits but you can still buy this really excellent kit from AlleyCat Models who seem to have bought their moulds, q.v. 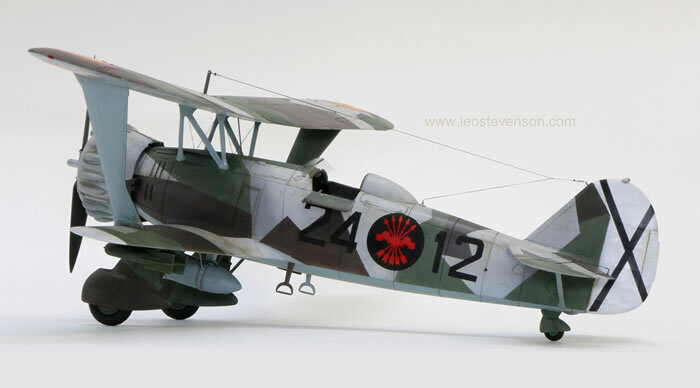 http://www.alleycatmodels.co.uk/henschel-hs-123-a-1-poland-and-russia-6112-p.asp , but they supply it with different markings to hat you see here.